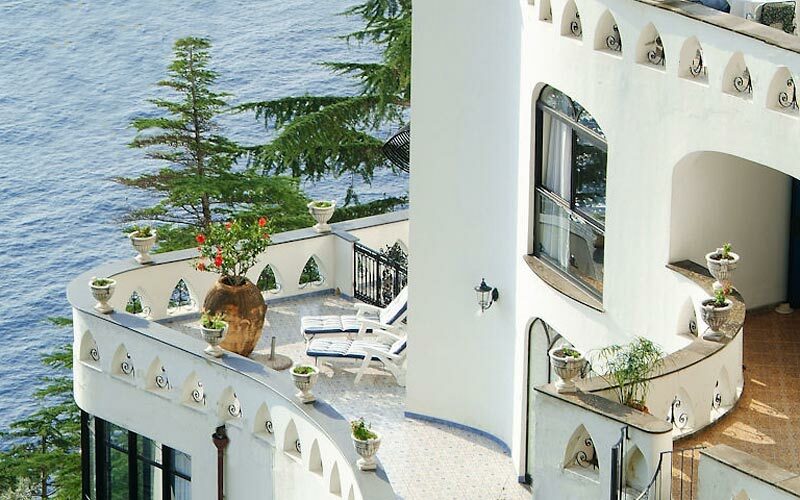 An oriental style seaside palace fit for a Sultan, complete with ogee arches and decorative tiling, world-class restaurants, and a private beach from which to dive into the crystal clear sea surrounding the Amalfi Coast: Grand Hotel Il Saraceno, on the cliffs of Amalfi, is one of Italys most striking 5 star establishments. 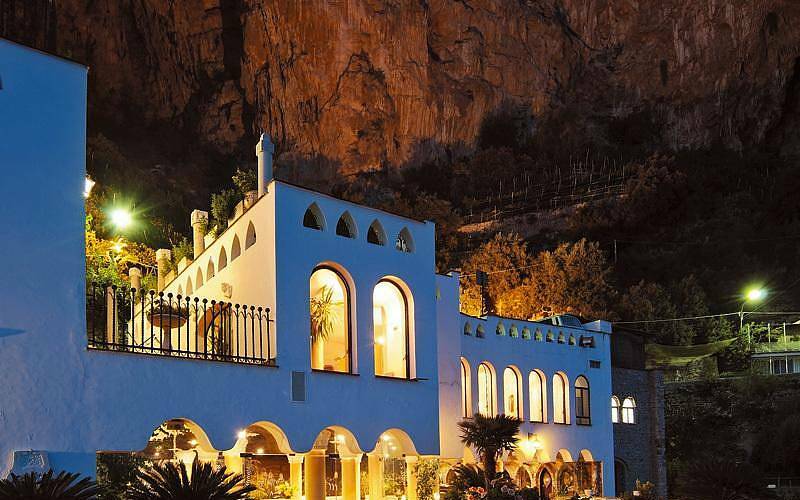 Guest accommodation in this hotel, created on the site of an ancient 11th century fortress, is provided in luxurious bedrooms and suites, all of which have magnificent sea views. 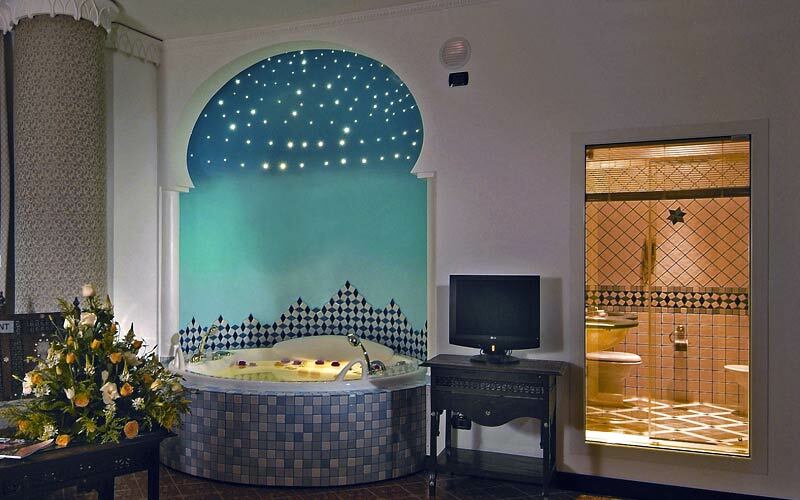 In-room amenities are those you would expect to find in one of the Amalfi Coasts finest 5 star hotels, what you might not expect, is the palatial sumptuousness in the panoramic Soraya and Pasha suites. 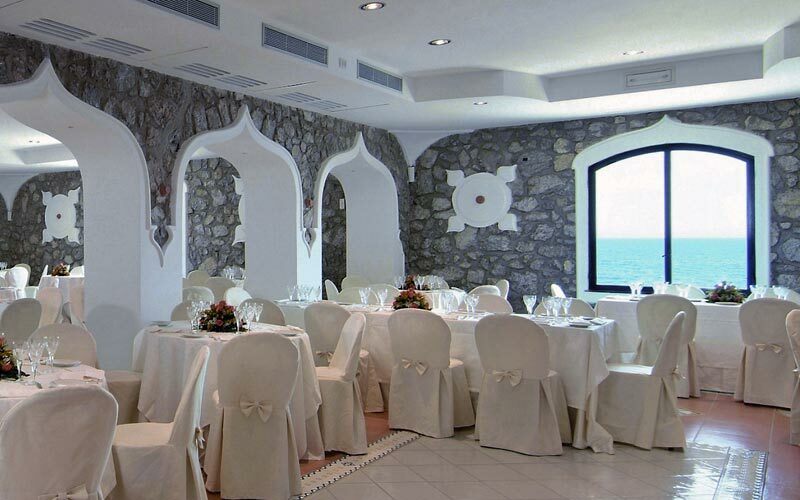 Moorish arches, hand painted floor tiles, exposed stone walls, and spectacular views of the sea: Restaurant El Qusayr's dining room provides the unique venue for a spectacular Mediterranean banquet, or a dream wedding reception, for as many as 200 guests. 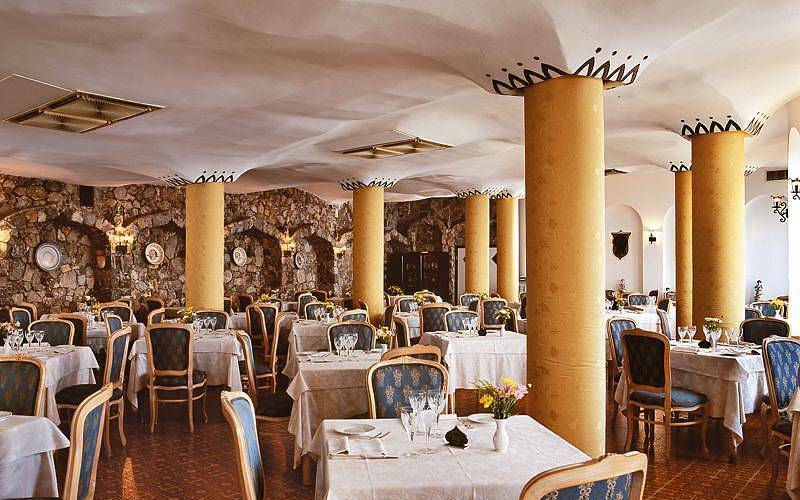 More intimate, but equally exotic, with undulating ceiling and damask covered columns, Restaurant Mashreq serves delicious regional cuisine prepared with the finest of locally sourced ingredients. 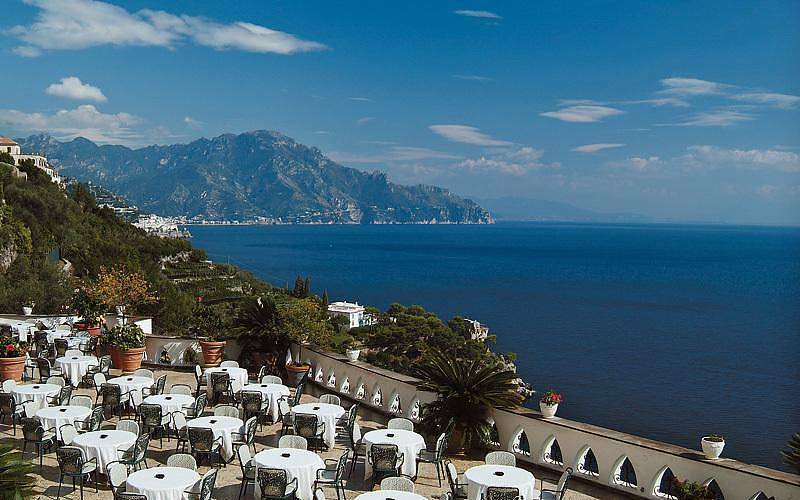 The hotel operates a shuttle service, allowing guests to quickly reach the historic center of Amalfi and the town's fashionable beaches. 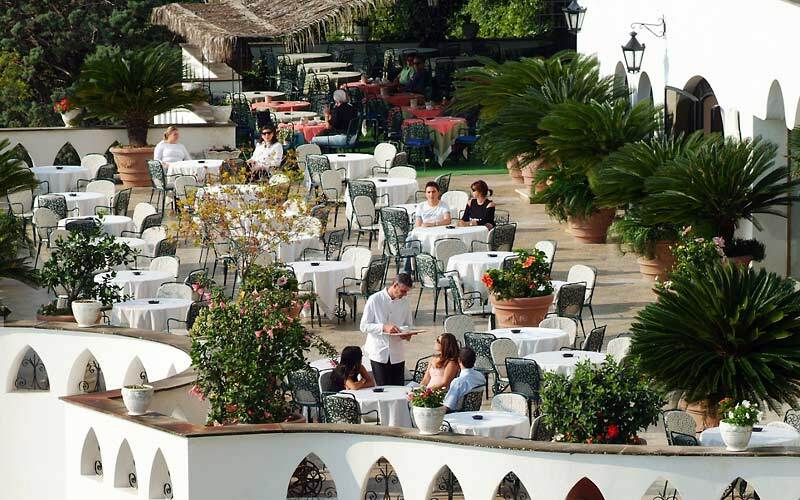 Those unwilling to leave the comfort of the hotel, can choose to while away the hottest hours of the day lazing by the pool or on Grand Hotel Il Saracenos private beach, before heading to the Bar Doge for an elegant, sunset aperitif. 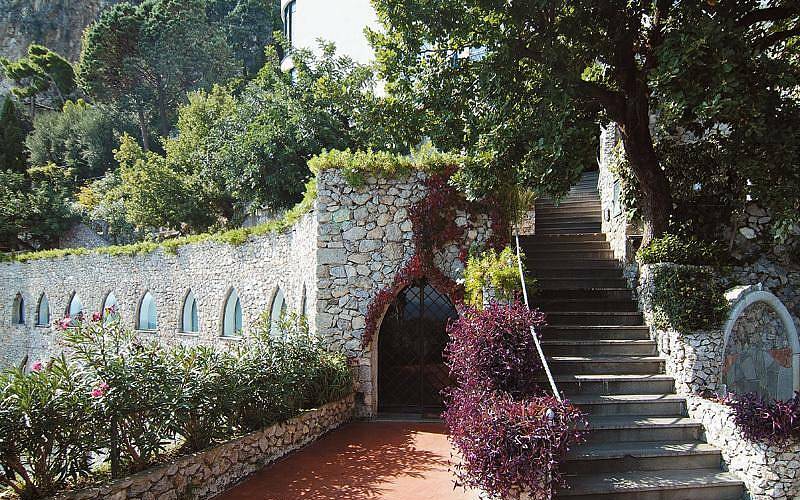 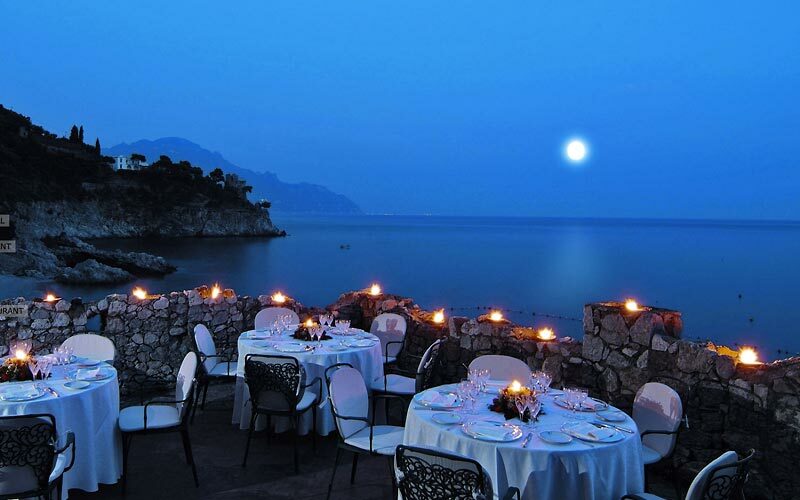 With its beautiful, sea view conference rooms, large banqueting hall, and intimate, private chapel, Grand Hotel Il Saraceno is a much sought after venue for exclusive business meetings and glamorous wedding parties on the Amalfi Coast. 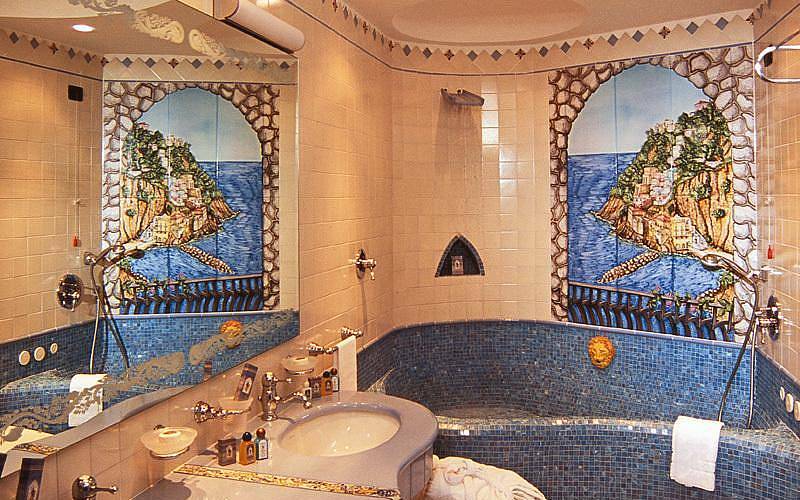 The ultimate in Mediterranean luxury, in suites fit for a Sultan. 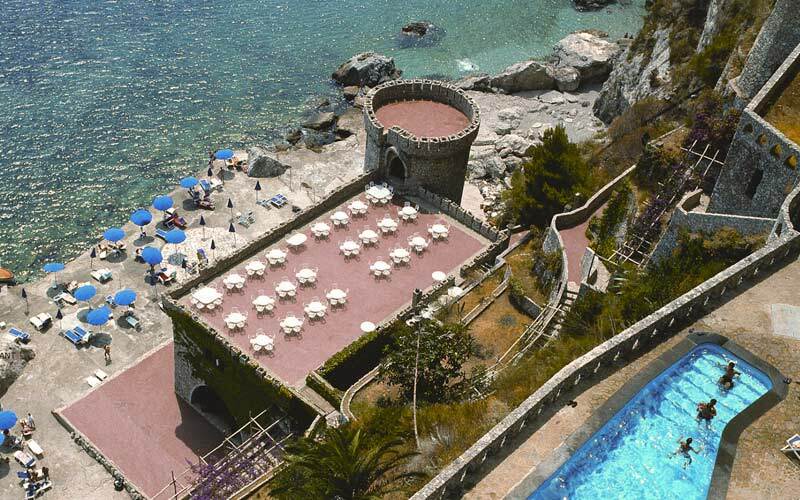 The pool and private beach facing the sea surrounding the Amalfi Coast. 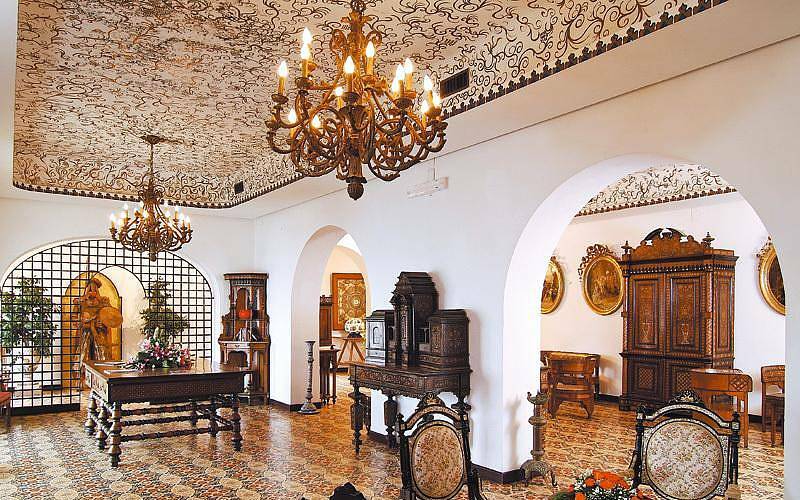 The comfort of a 5 star hotel, the charm of an ancient, Moorish residence. 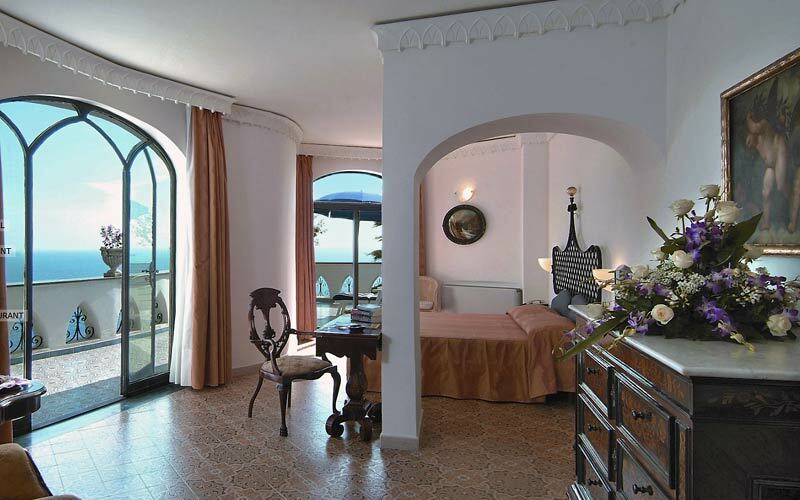 Grand Hotel Il Saraceno is situated in the town of Amalfi, in the very heart of the Amalfi Coast. 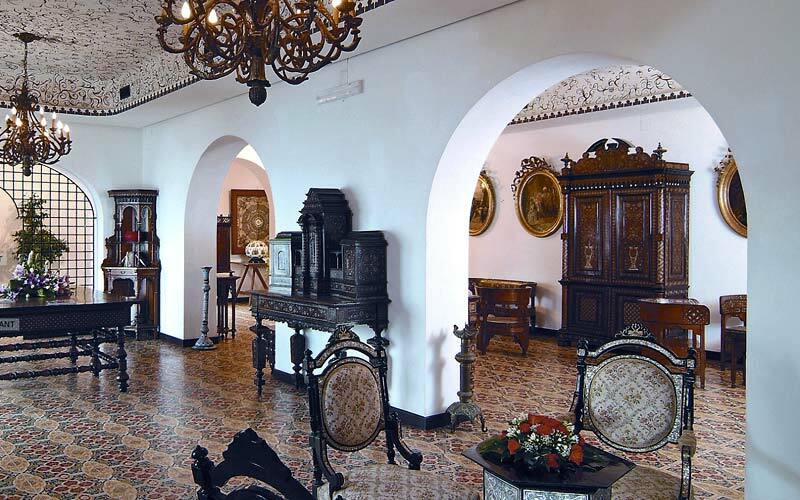 Using the hotel's shuttle service, guests quickly reach the historic center, where to visit Amalfi's gorgeous, majolica-domed cathedral, or simply laze on one of the town's beaches. 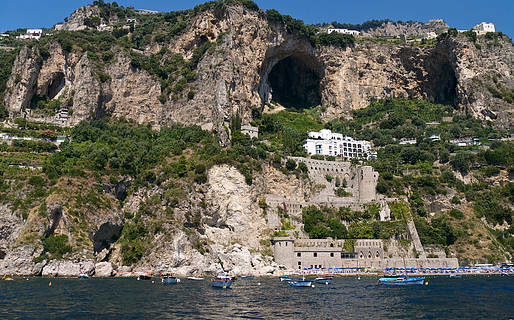 Amalfi provides an excellent base from where to visit the other towns dotted along this legendary stretch of the Italian coastline, such as Conca de Marini, Furore, Positano and Praiano: all of which are just a short car or boat ride away.